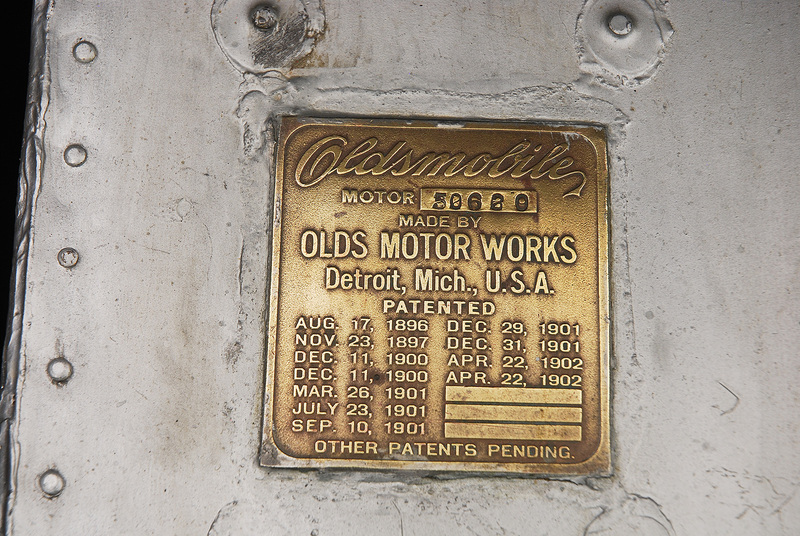 On March 9, 1901 a fire broke out that ravaged the Olds Motor Works factory in Detroit. 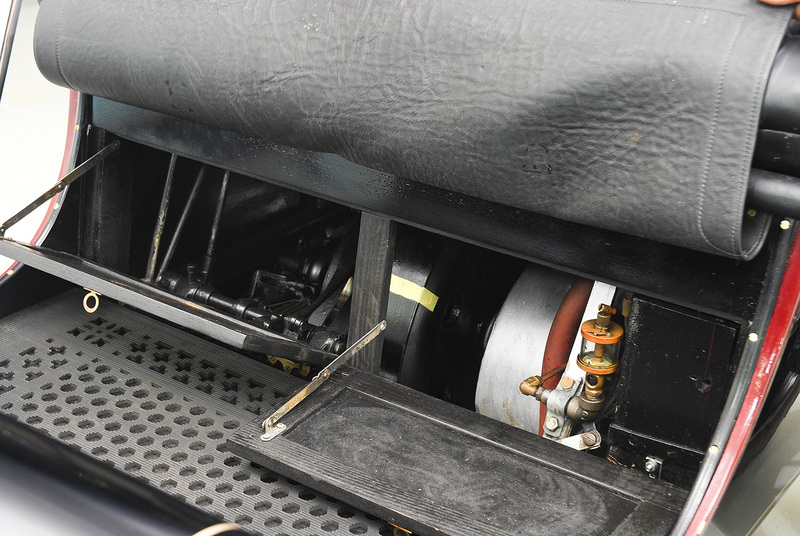 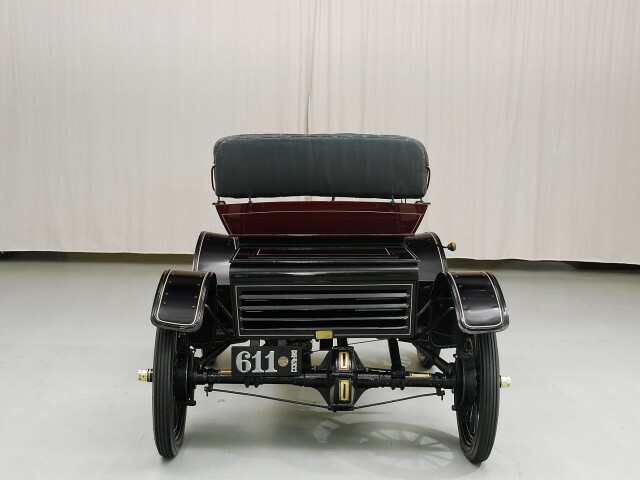 The fire was an unfortunate accident, but was later called "the best move ever made by the management", because the one car to survive was the prototype for a small, basic runabout that would become known as the Curved Dash. 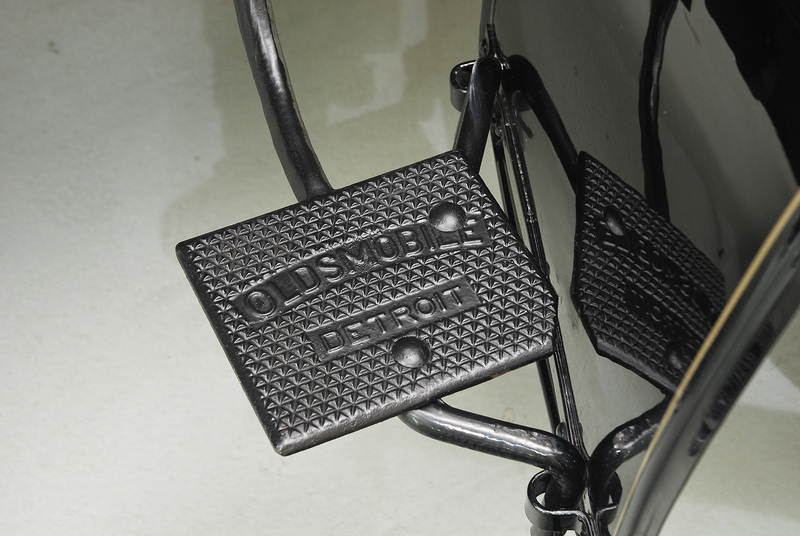 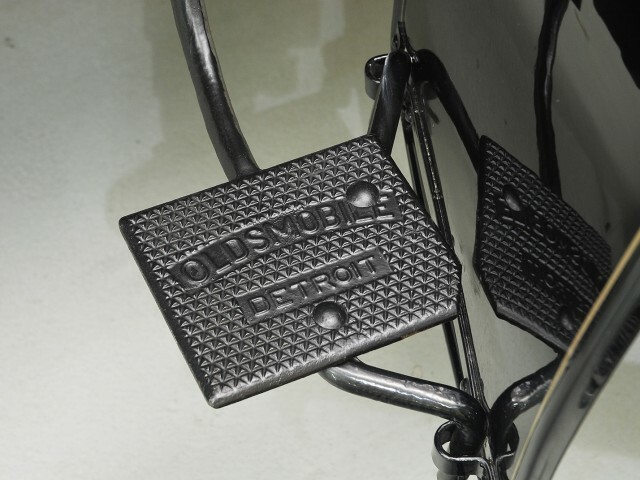 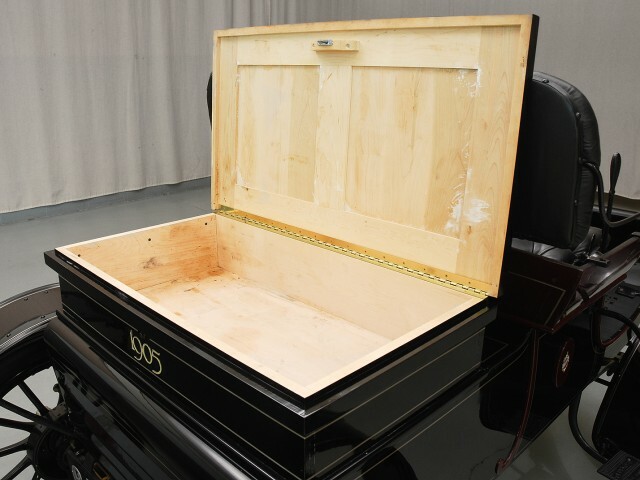 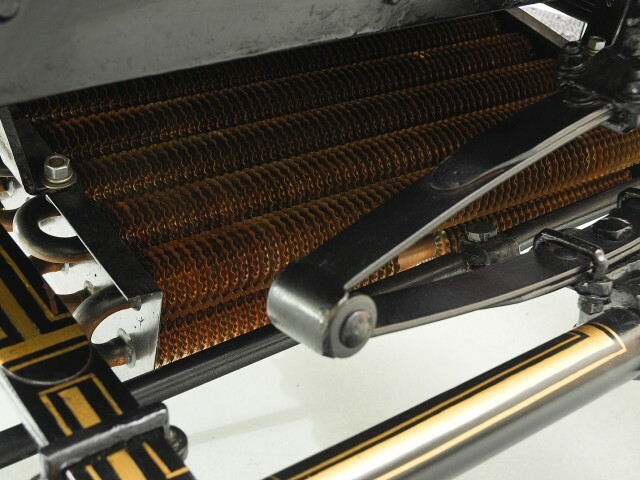 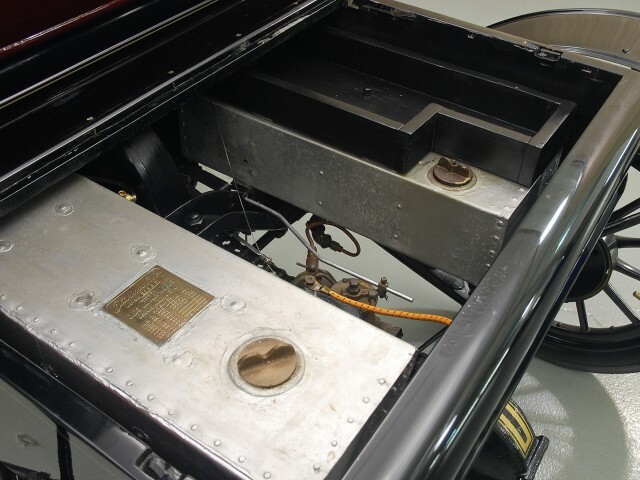 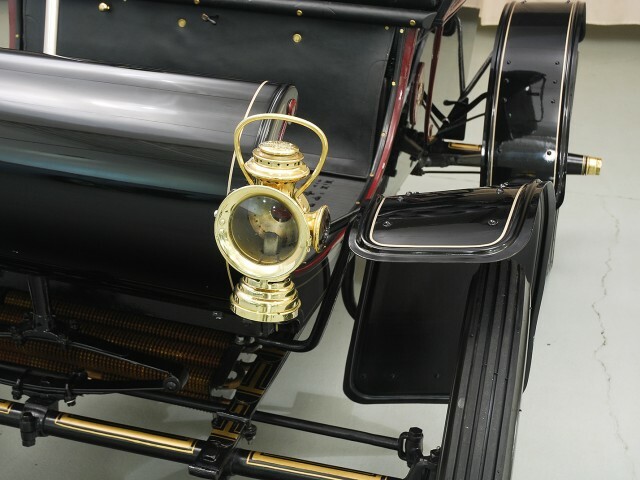 The original Curved Dash Olds became the company's sole focus for a number of years and was wildly successful as well as America's first car to be produced in significant quantity. 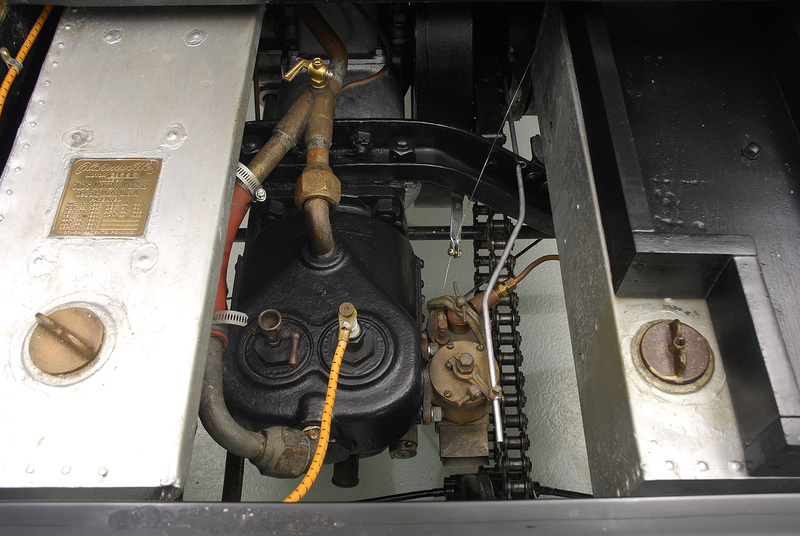 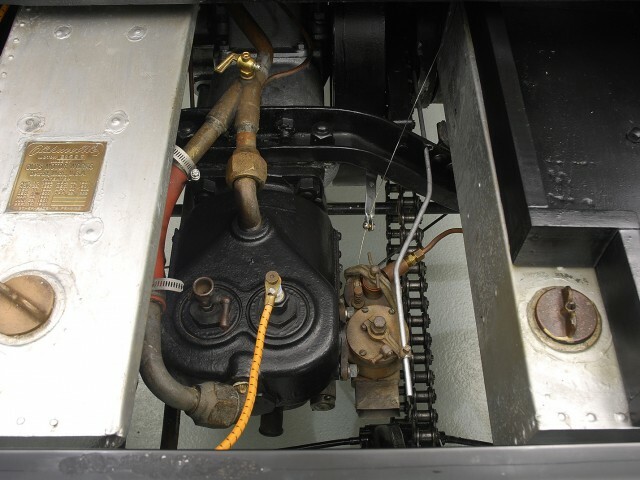 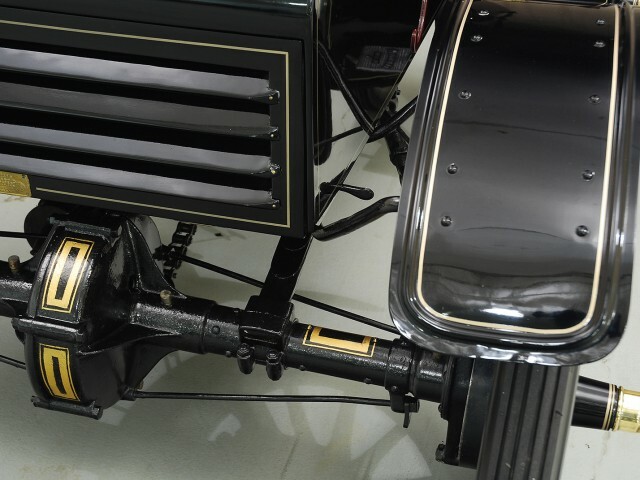 It was powered by a single cylinder four-stroke engine that made 7 horsepower and was coupled to a two-speed planetary gearbox and center chain drive. 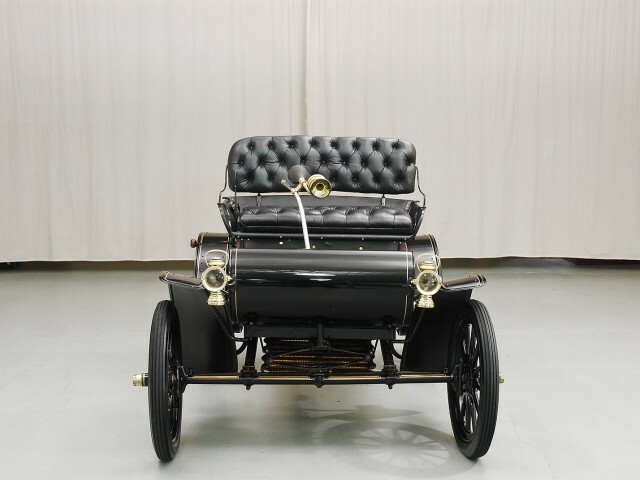 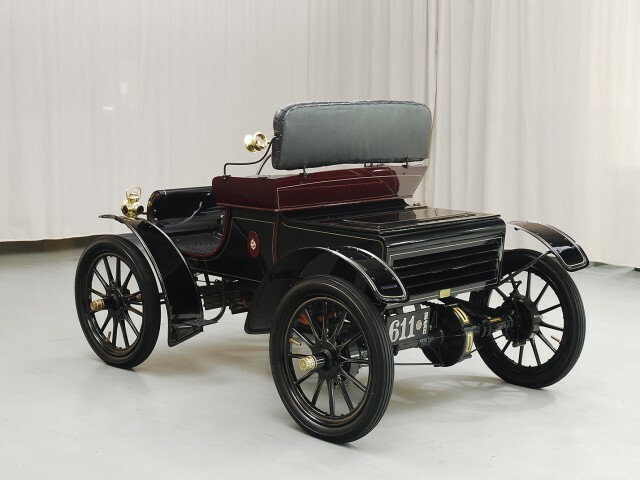 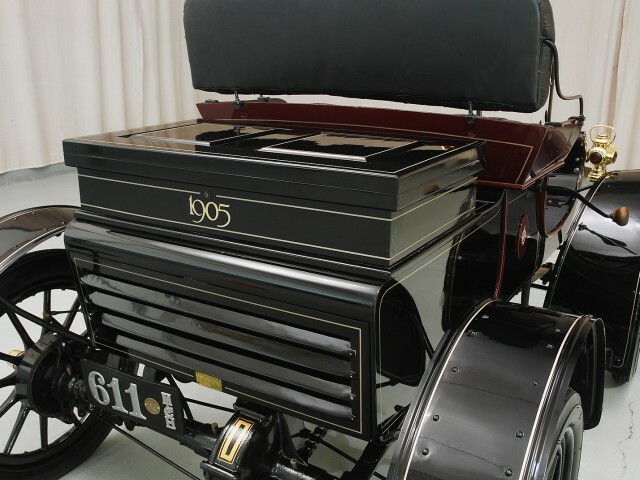 This simple but effective automobile was also the first built on an automotive assembly line, and the whole motorcar weighed just 700 pounds and cost just $650. 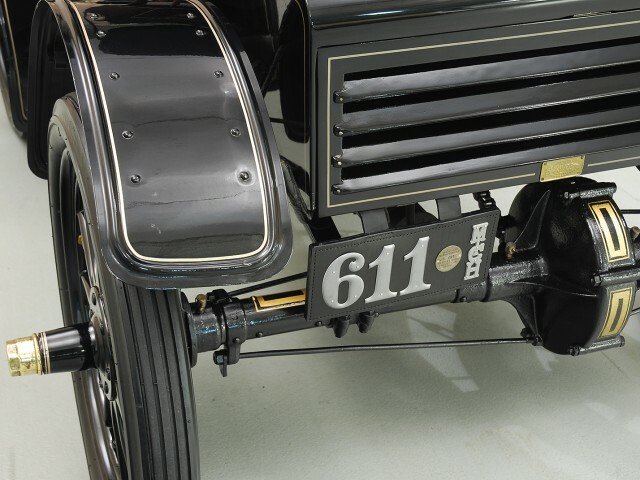 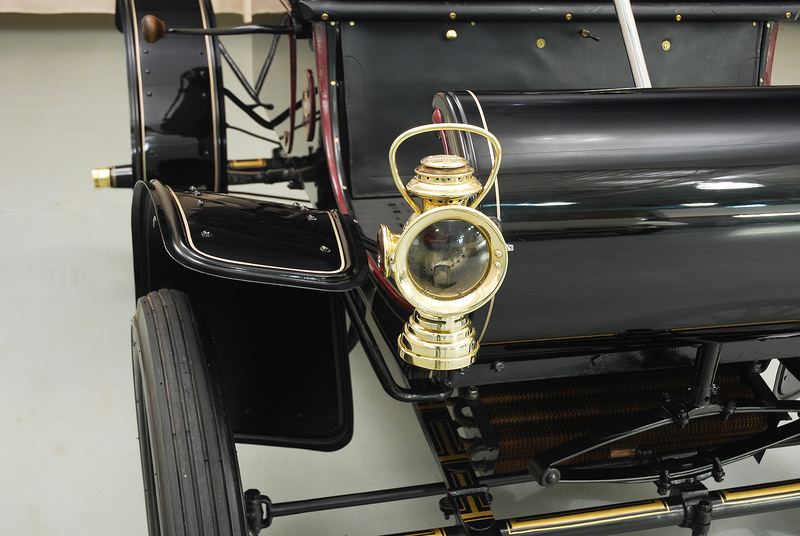 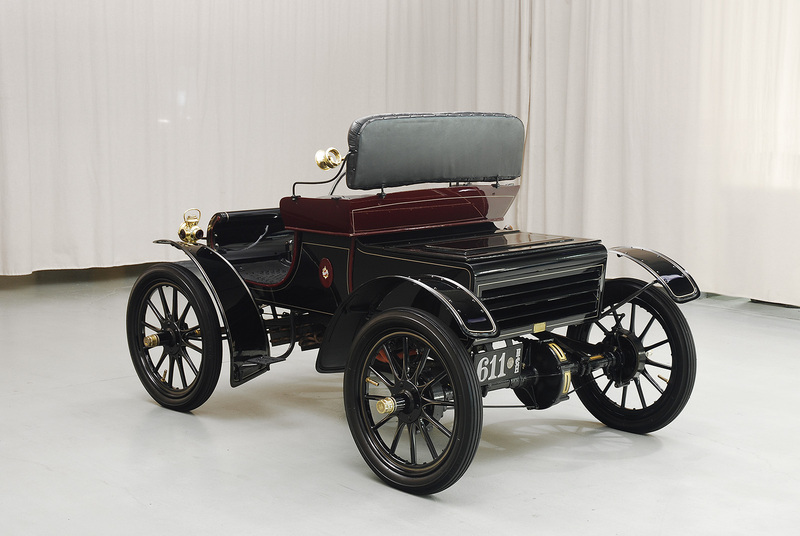 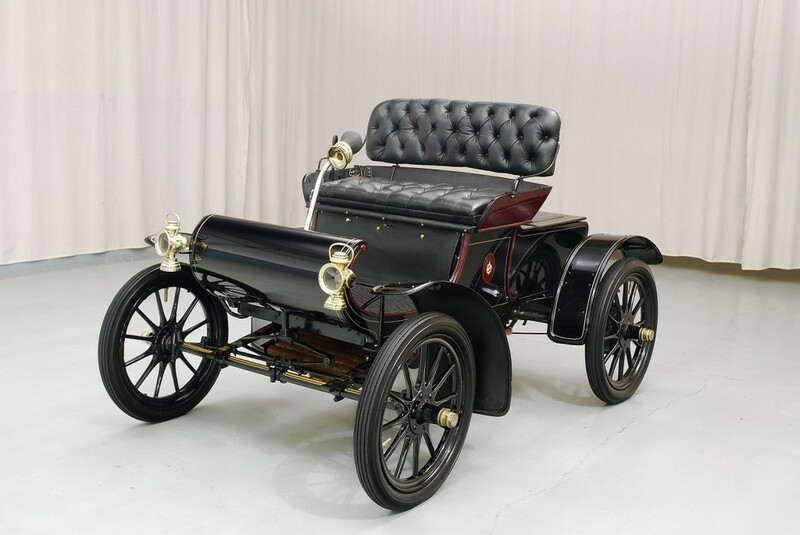 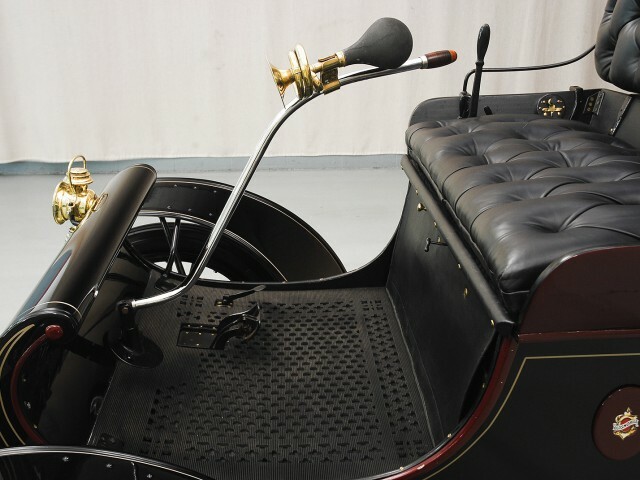 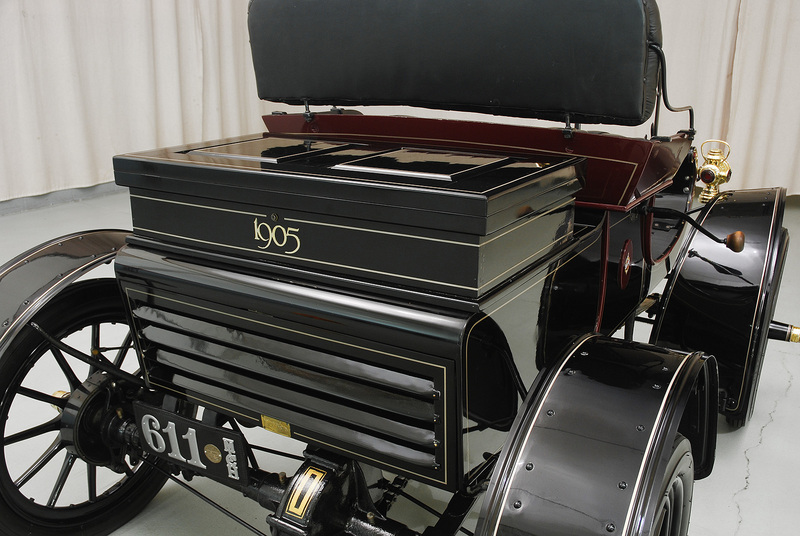 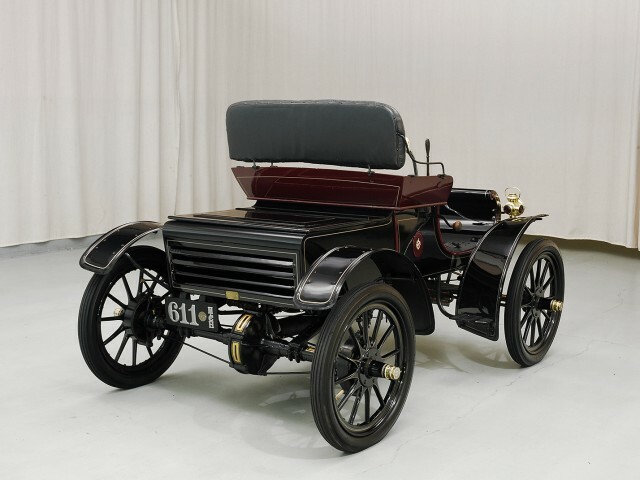 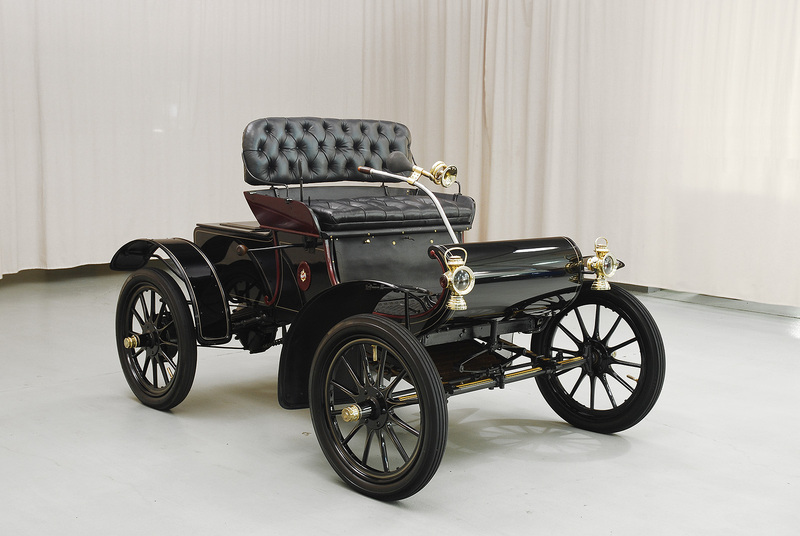 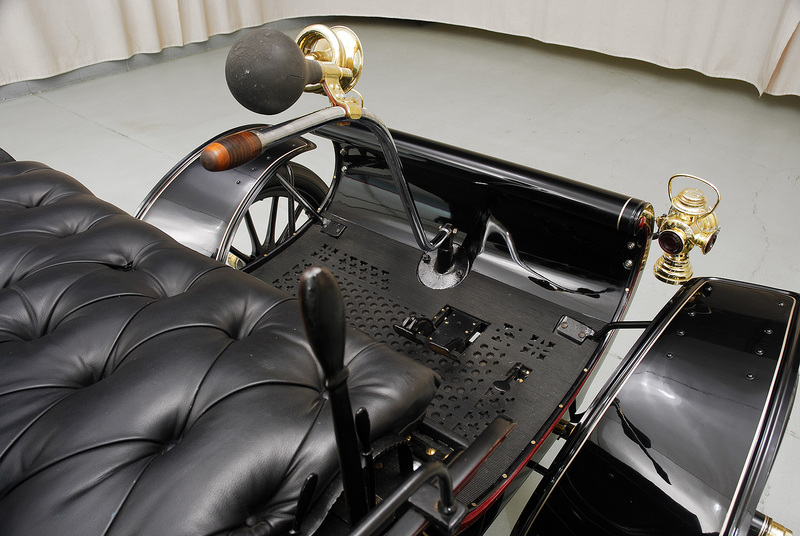 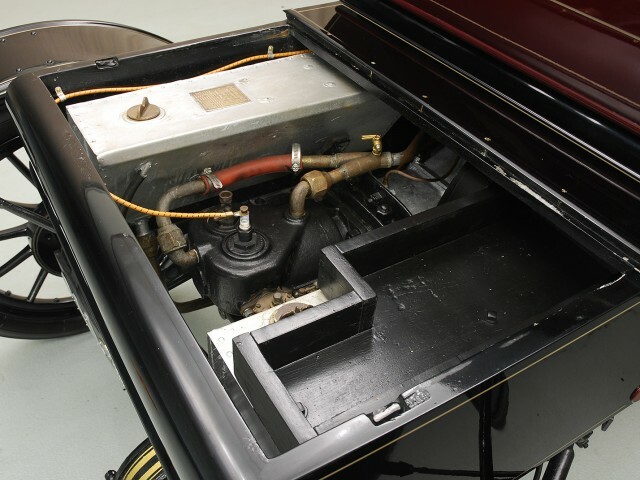 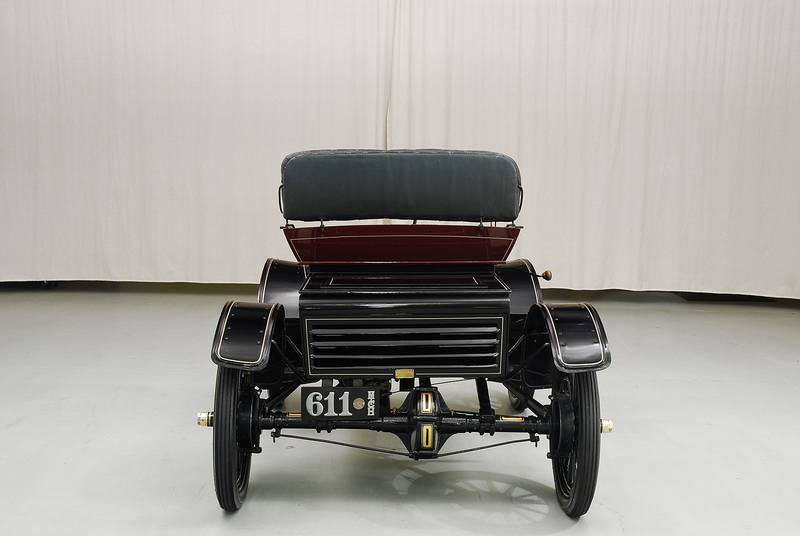 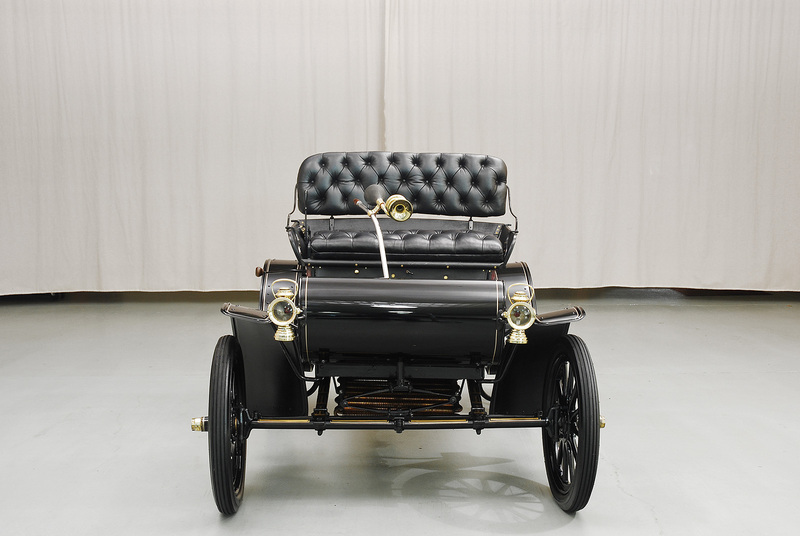 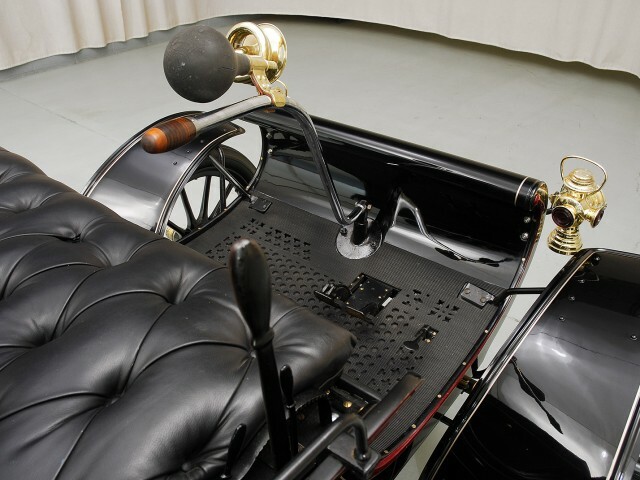 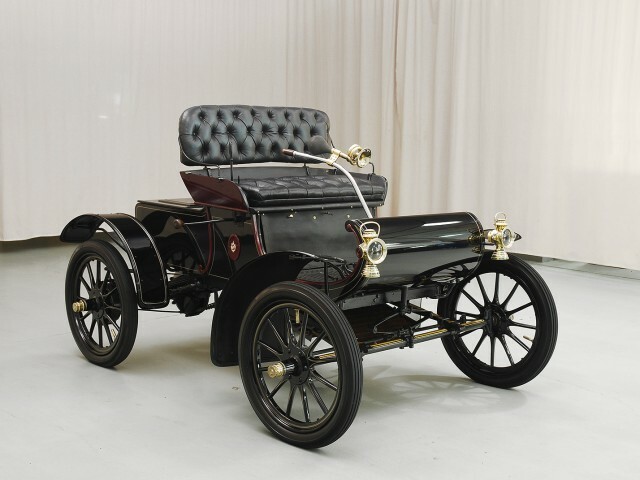 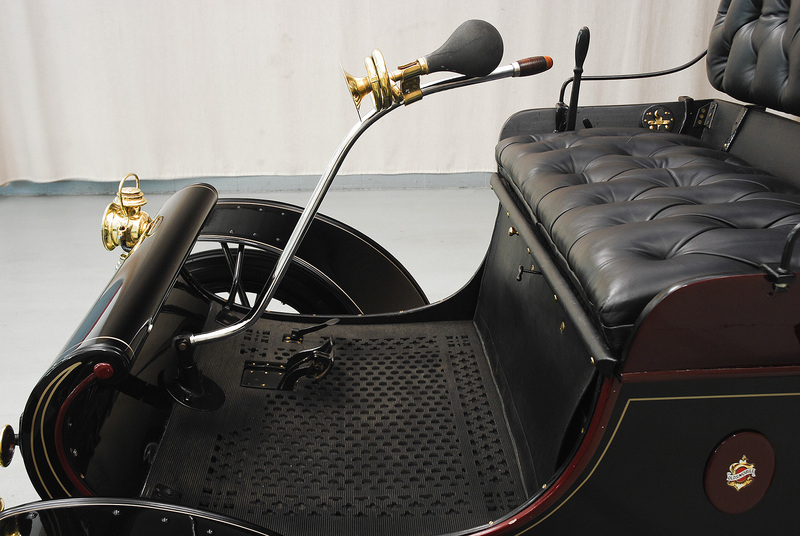 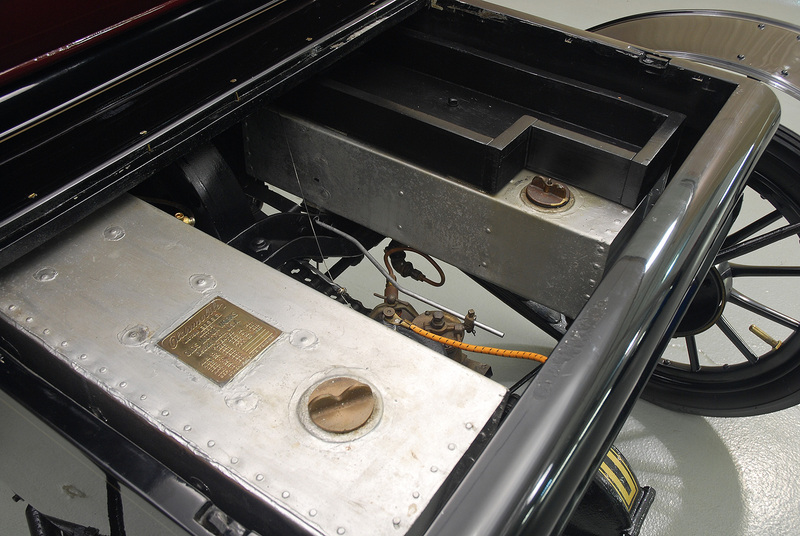 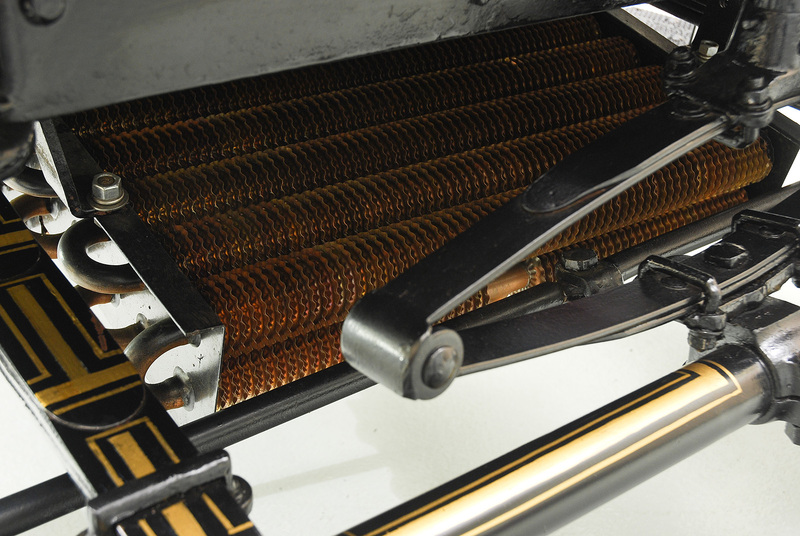 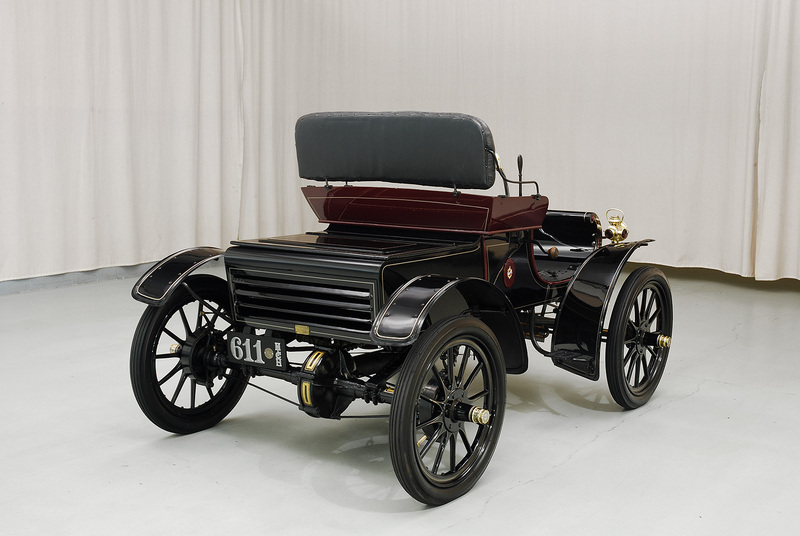 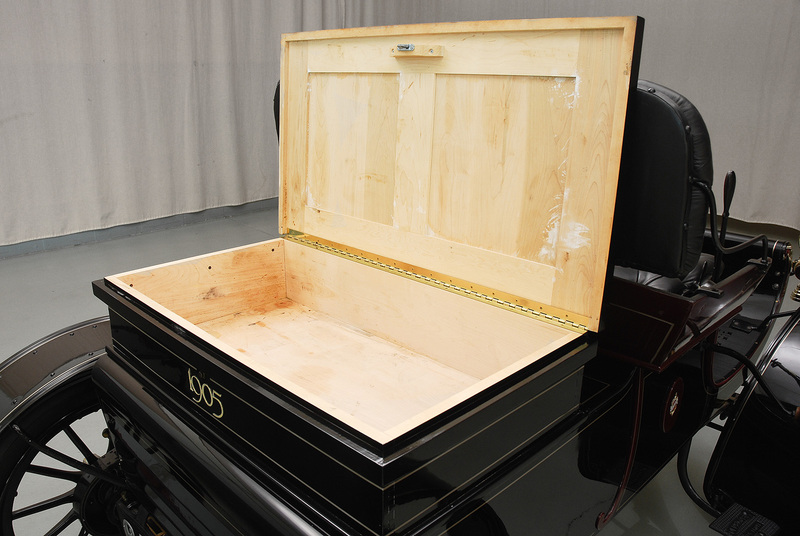 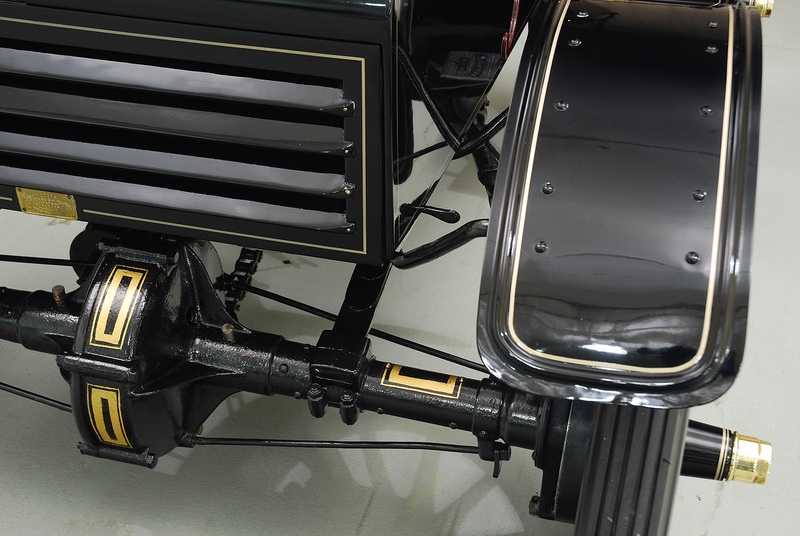 For 1905, the Model B Curved Dash had a more robust engine, revised springs and no front truss rod. 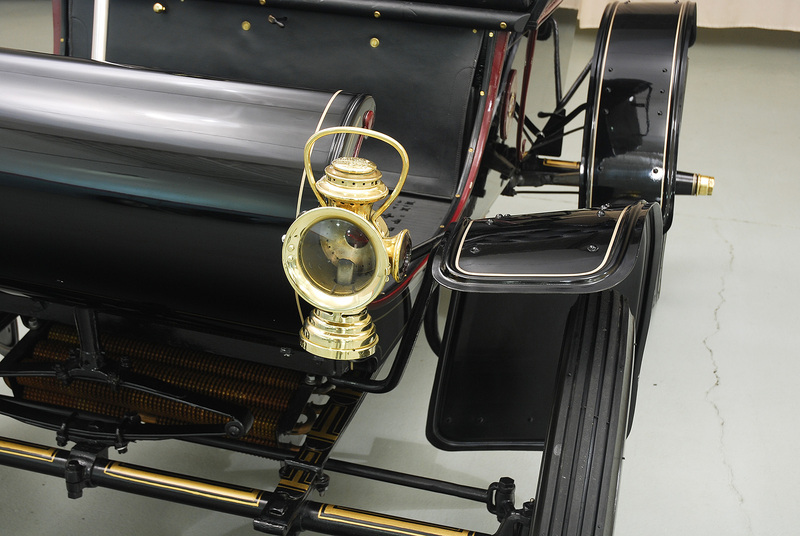 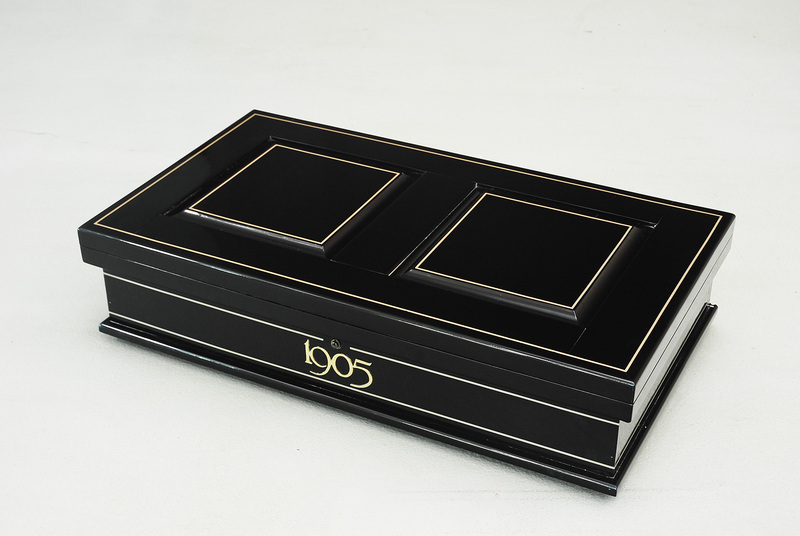 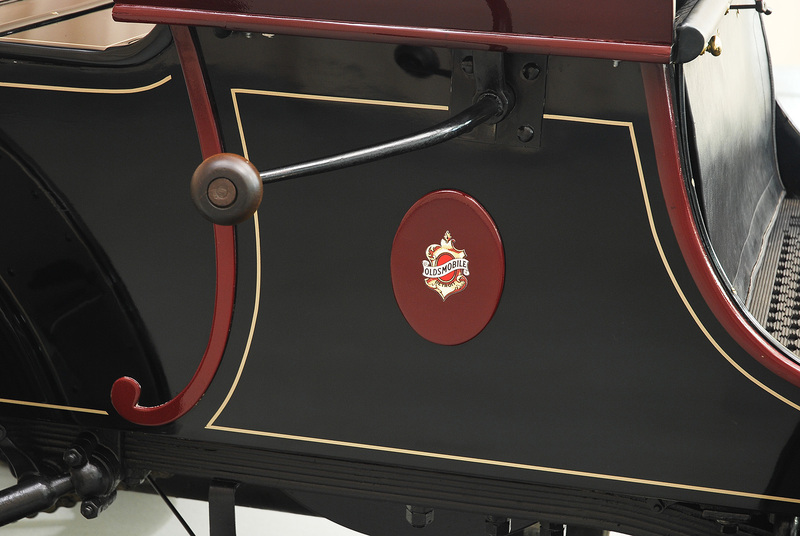 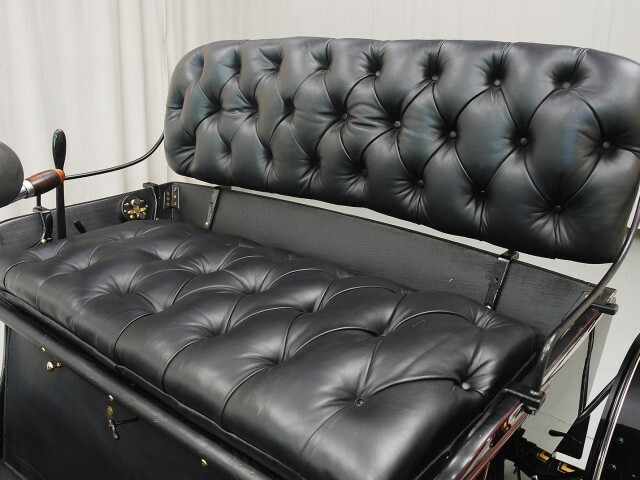 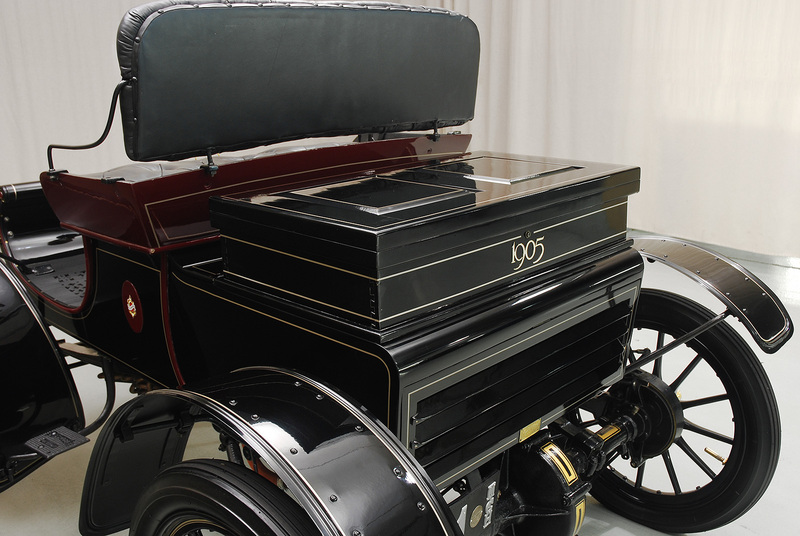 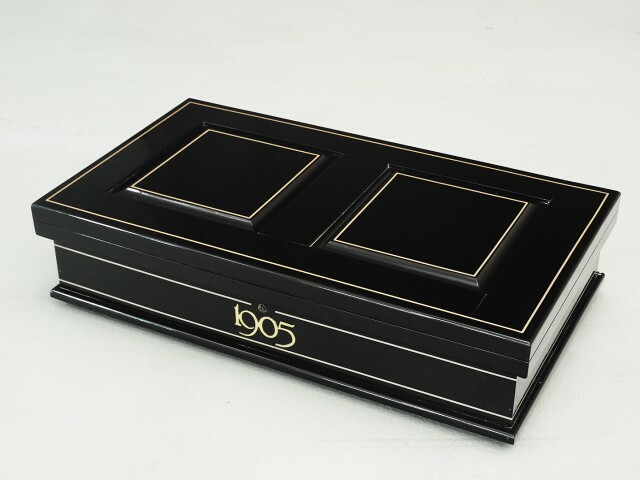 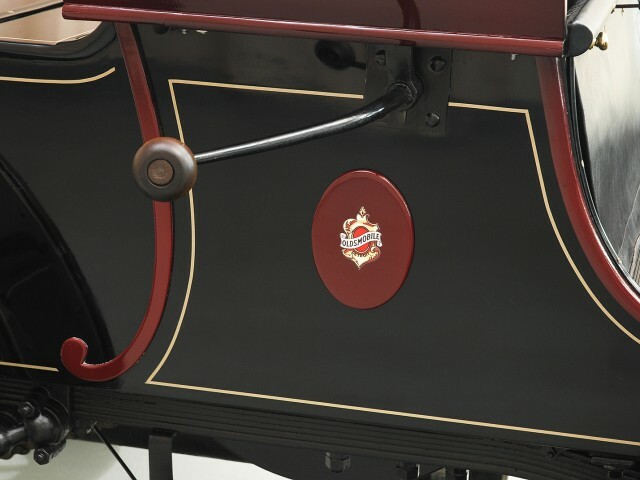 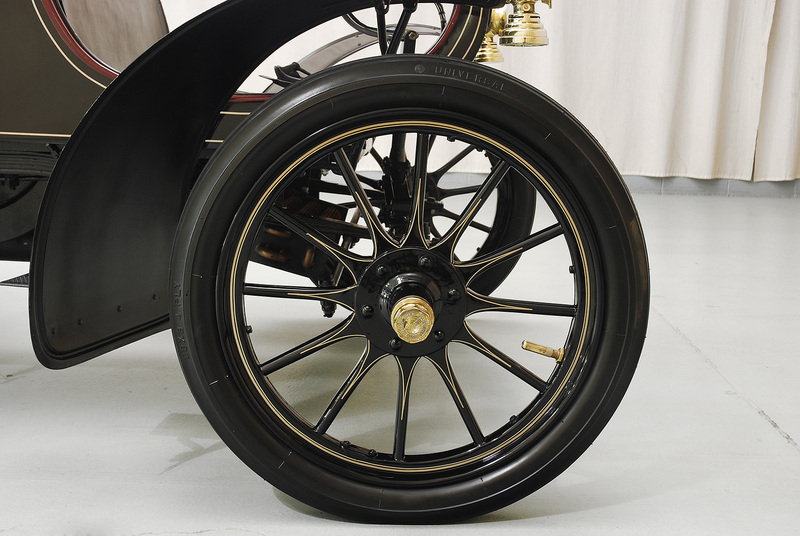 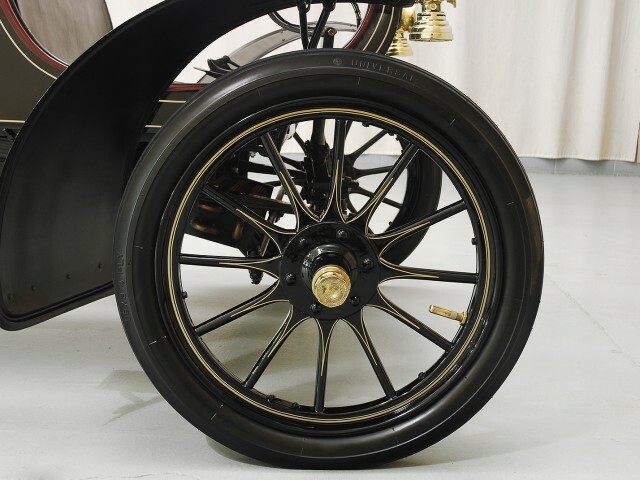 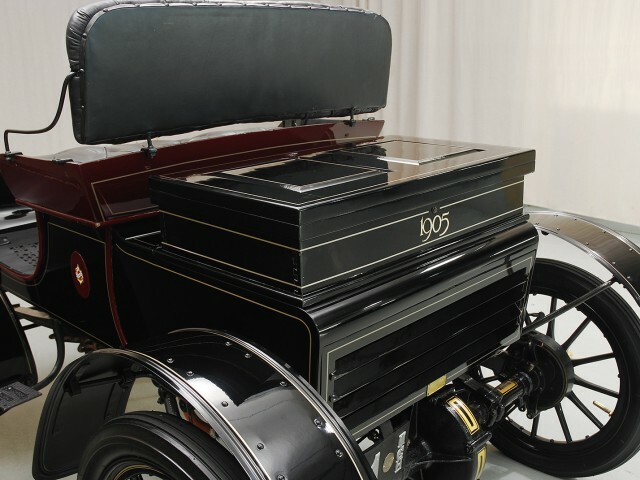 This 1905 Curved Dash is a beautiful, pampered fully restored example that is finished in black with red accents and a gold coachline. 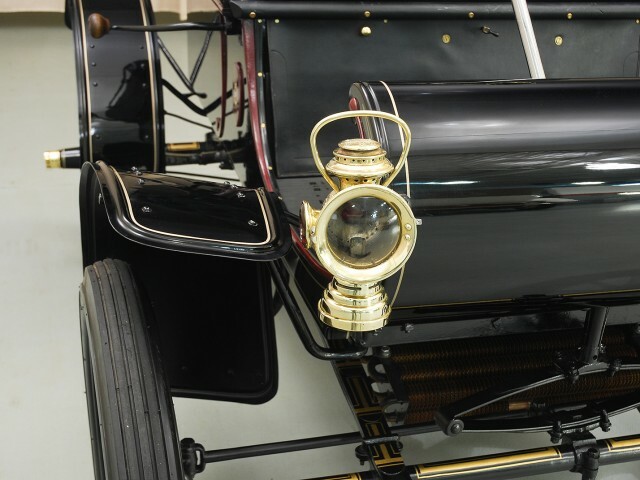 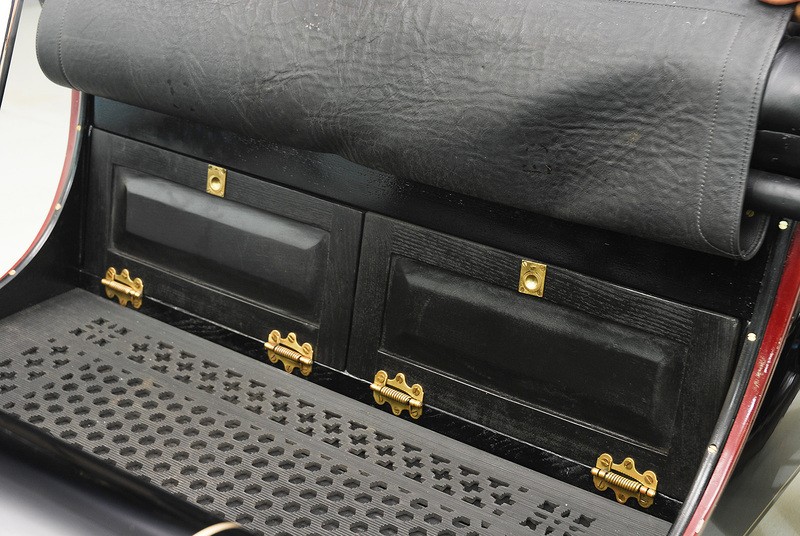 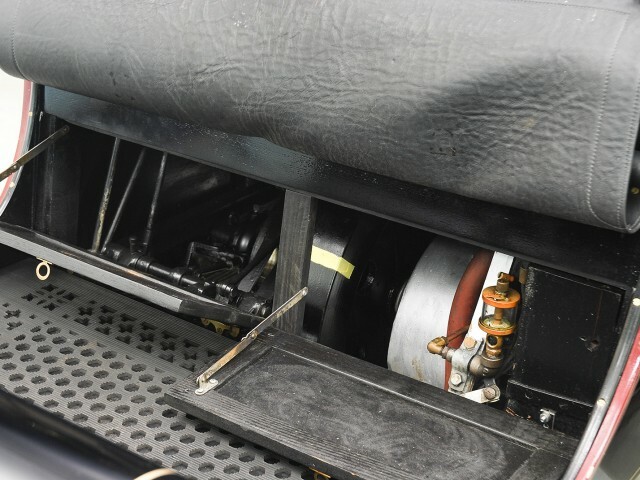 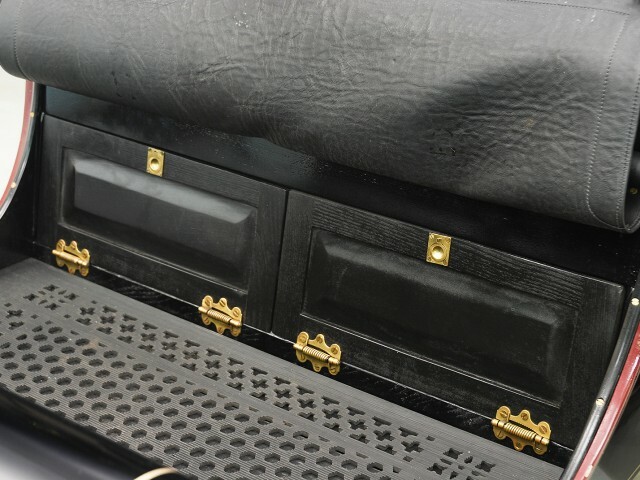 It has brass "Never Out" headlamps, tiller steering, black leather upholstery and wood artillery wheels. 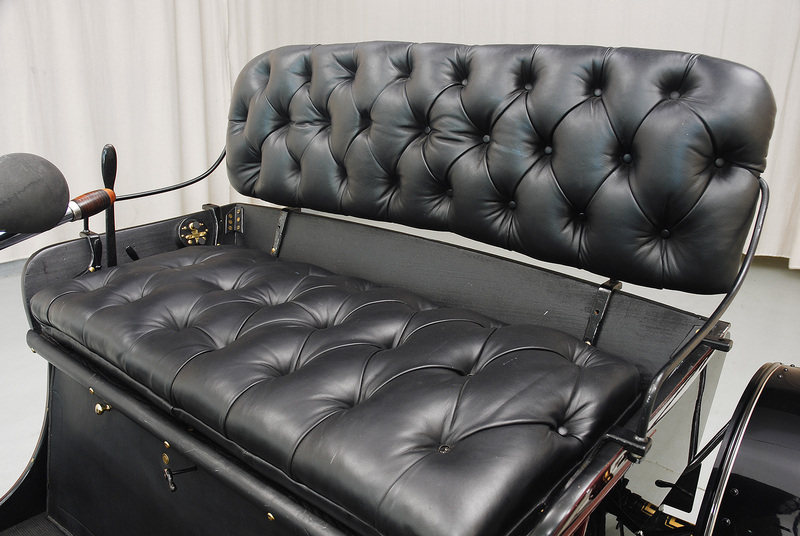 A fully restored example, it has had recent cosmetic freshening, buttoned leather, radiator, water pump and paint. 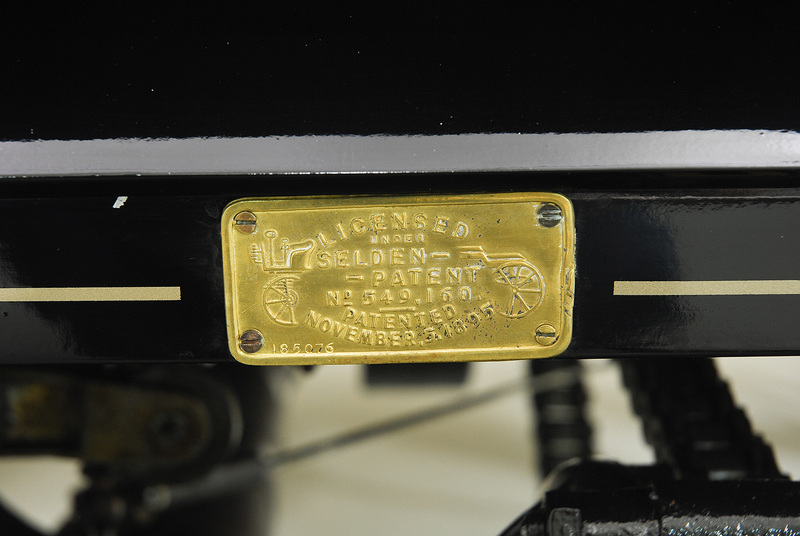 One particularly pleasing item that comes with the car is its original leather Michigan license plate, number 611. 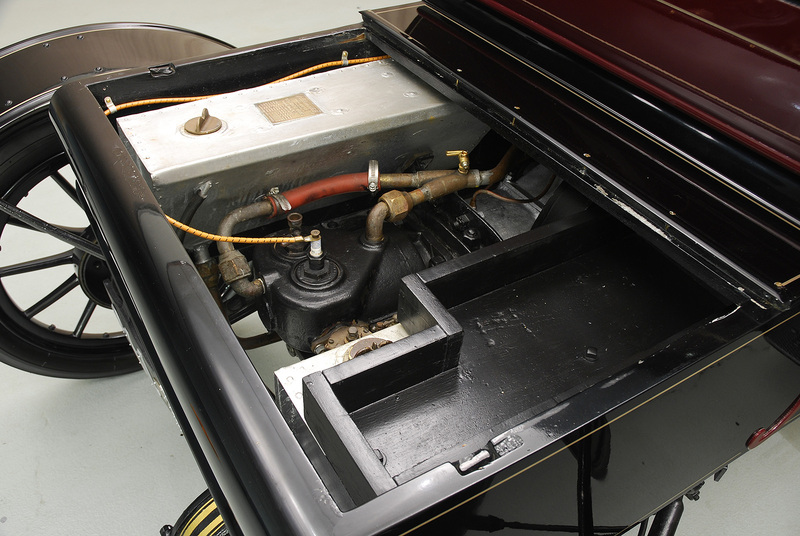 The car runs and drives very well, and is as usable as it is gorgeous. 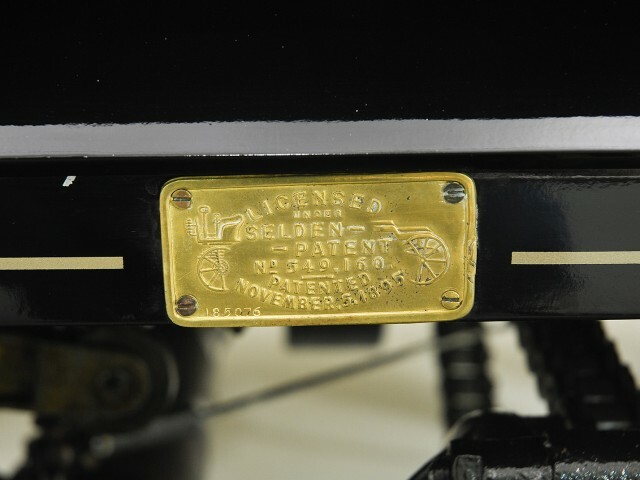 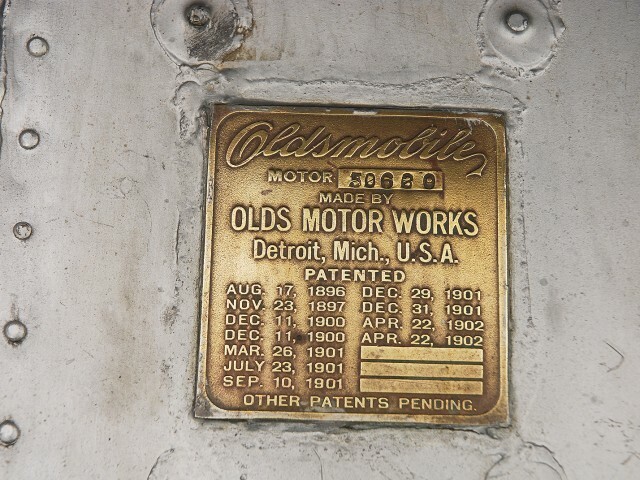 Very pretty and still wearing a period license plate, this is an exceptional and highly desirable automobile for those who appreciate the story and design of the Curved Dash Oldsmobile, one of the most historically significant early American motorcars of them all. 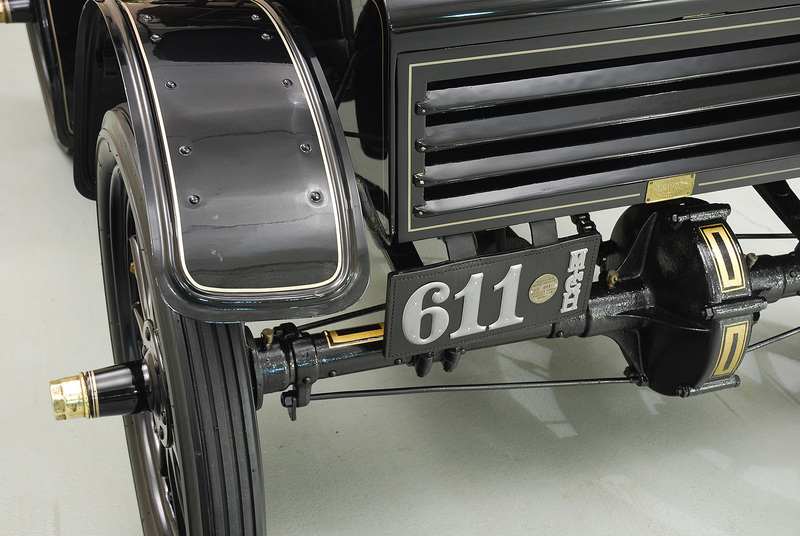 This is a quality example that will never fail to appeal to drivers and spectators alike.